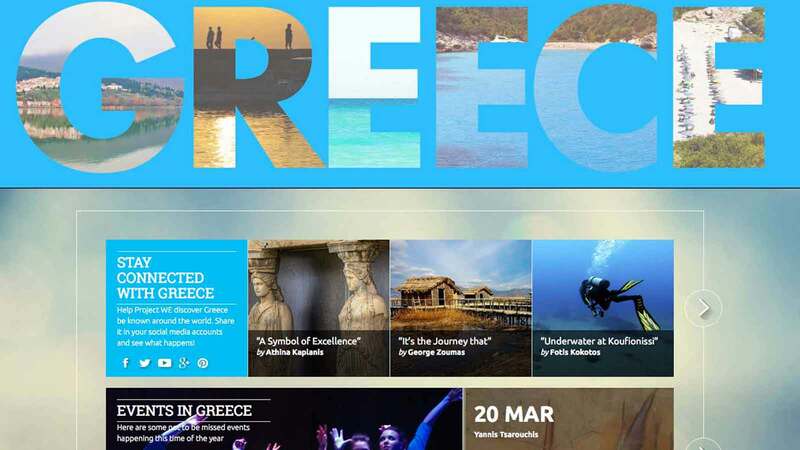 Discovergreece.com is an interactive platform that constitutes a strategic pillar of Marketing Greece’s operation. The website showcases an integrated Greek Tourism Product portfolio, acts as a sales tool by combining products with booking engines and serves as a digital platform for community building & social media campaigns. In particular, the platform portrays a unique and unified Greek Tourism Product, offers comprehensive information for destinations including highlights and secrets, allows users to design their travel by using search features that bring together accommodation, transfer and sightseeing tours. It also features the integration of online booking engines. Our team of travel experts in cooperation with other specialized companies provided original texts and photos about all Greek destinations.